UASTrakker LLC is offering a new guidance system to enable first responders and maritime rescue units to use fully autonomous drones to help locate people lost at sea or in the wilderness. 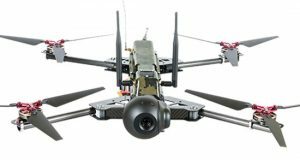 The company will showcase the system at AUVSI Xponential, scheduled for April 30-May 4 in Denver, Colorado. 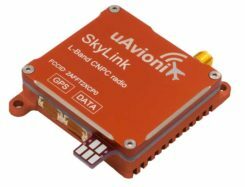 The emergency RF beacon tracking system for drones is based on the company’s core patent-pending technology, which uses an internet of things (IoT) edge computer, running the company’s proprietary software and algorithms to deliver an autonomous search-and-rescue (SAR) solution to the professional end user. UASTrakker integrated systems using an autonomous drone for locating emergency distress beacons, such as a personal locator beacon (PLB) or man overboard beacon. 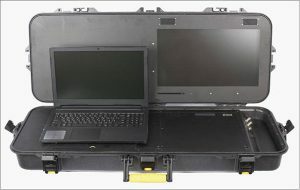 The UASTrakker system is capable of locating individuals stranded in floods, lost at sea or on land and is expected to be a key component of rescue efforts in maritime rescue, as well as SAR in the wilderness. Trained users operate the UASTrakker-enabled drone by initiating a flight plan to locate the last known position of the target. Once in the air, the drone will scan the emergency radio frequencies used by PLB beacons in distress, and provide situational awareness to first responders using its thermal, infrared and daytime cameras. During the entire rescue, UASTrakker streams live video into the company’s cloud computing solution of the entire flight, recording the physical location of the incident in day or nighttime conditions. This enables multi-agency collaboration on SAR missions to help locate the victim. According to the company, the UASTrakker system is compatible with many off-the-shelf drones, so it can be installed on medium-sized multi-rotors for short missions, a hybrid- electric plane for longer missions, or a heavy lifter for difficult to reach areas and rough weather. At any time, the user can take over control of the flying of the drone, and activate features like the winch. Cellular/satellite technology offers an almost unlimited range of control. The UASTrakker company is also developing technology for moving ground control stations, so that drones will land more easily on a ship or moving platform like a SWAT vehicle. The company’s proprietary artificial intelligence (AI)-capable internet console is expected to provide the pilot in command a first-of-its-kind online search grid, with online tools to initiate the autonomous flight search-and-rescue procedure. When other first responders have downloaded the UASTrakker app, they will have a collaborative map of the rescue operation, showing the drone position and the location of any emergency PLBs within range, while the drone autonomously locates and surveils them until rescuers can arrive. “A UASTrakker customized rescue drone can be deployed in many different emergency and disaster situations to locate survivors from maritime accidents, avalanches, hikers in distress or to locate stranded people after a natural disaster like a hurricane or flood, by tracking the PLB that is activated by the person in distress,” said Shawn Holmgren, CTO of UASTrakker. UASTrakker anticipates interest from government agencies including police, fire and rescue, and military, along with private individuals and commercial businesses. 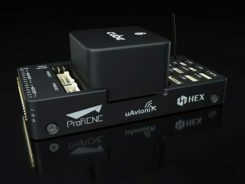 Holmgren will introduce the system at the Association for Unmanned Vehicle Systems International (AUVSI) Xponential show, booth 3233B. The company expects to launch the UASTrakker system by the hurricane season and summer of 2018.